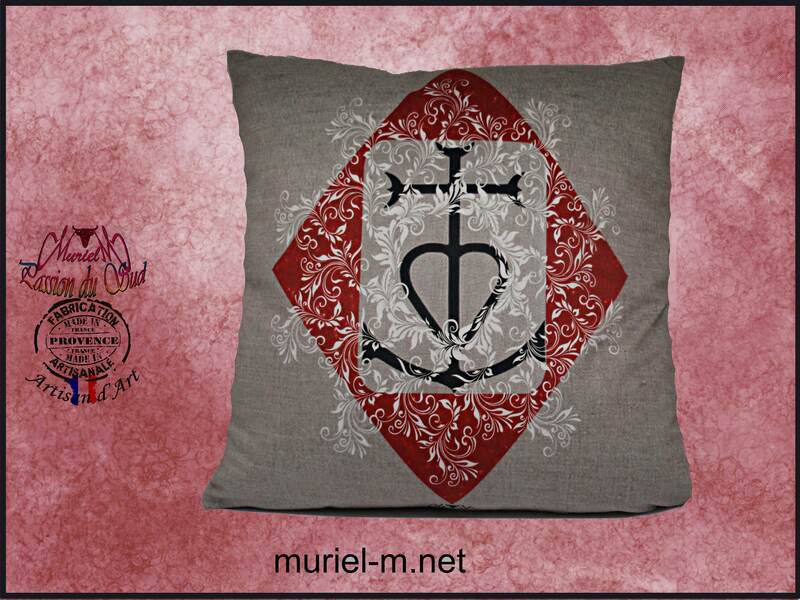 Cushion cover pattern camamrgue cross. Size 40 x 40 cm. Front printed velvet, black cotton back. Closed with zipper.